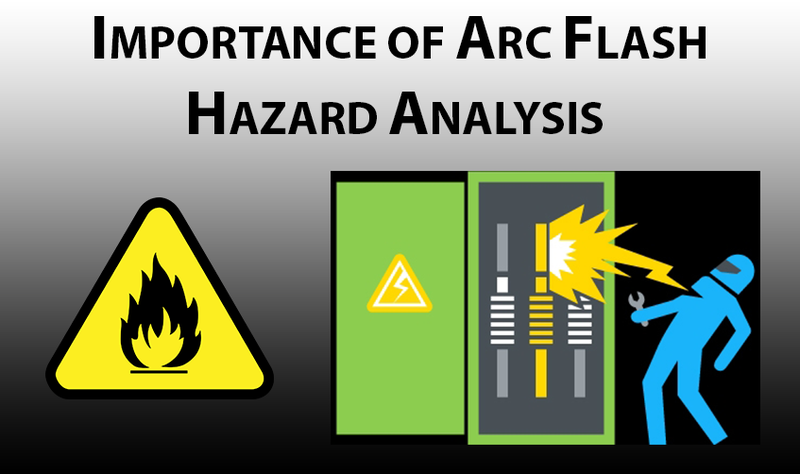 This guide will provide a detailed overview on the importance of Arc flash hazard analysis. We will also take a look at some of the most recent Arc Flash incidents their causes and how we can reduce the risk of Arc Flashover.? 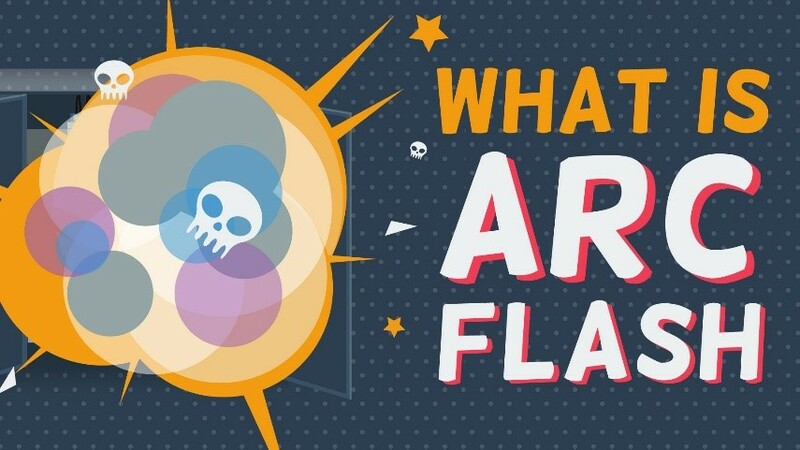 We had previously written an article about the 5 Major Changes in NFPA 70E 2018 including new Arc Flash Label Requirements! If you haven’t checked it out, please click below. It will help you to grasp the information available in this article easily. An Arc flash is an electric arc or arcing fault in which an electric current passes through the air in an electrical power system’s equipment from one live conductor to another or to the ground. Arc flash hazard is the danger of a serious burn injury due to this arcing fault. Most of the employers are not familiar with the consequences of Arc flash hazards and the penalties imposed by OSHA (Occupational Safety & Health Act). Treatment costs for burn (2nd and 3rd degree), victims can approach $500,000/mo. A workplace fatality can cost an estimated $8.5 million plus penalties also. The NFPA(National Fire Protection Association) recommends to perform arc flash study every 3 years to reduce the risk of electrical hazards and make the workplace safe to perform any electrical analysis. The labeling of panels and electrical equipment is also required by the National Electric Code (NEC). OSHA, in cooperation with the NFPA, requires that employers determine and document arc flash information for protection of working personnel. Aftermath of Arc Flash – What Happens Exactly When Arc Flash Occurs?? When an arc fault occurs, it is followed by an arc flash and arc blast immediately. These are hazardous explosions that can damage the surrounding materials as well as cause injuries and even death. The enormous temperature levels of the arc ionize the nearby air and heats surrounding metals. For instance, copper metal is expanded by 67,000 times while being converted from solid to gas. Due to extreme temperatures and thus expansion, the pressure rises significantly and leads to dangers like increased light, heat and sound intensity, and shrapnel. 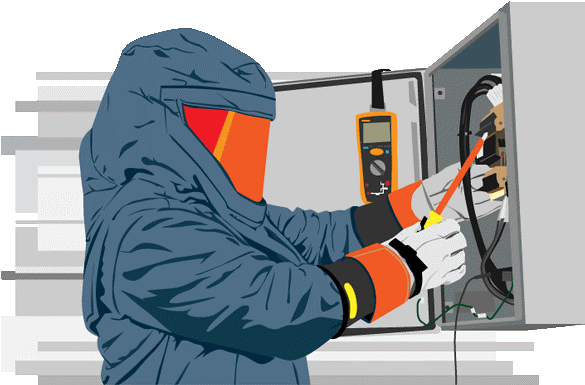 Arc flash is the emission of light and heat and arc blast is the intense pressure upsurge that occurs. The arc flash temperatures can rise up to 35,000 degrees Fahrenheit. The temperature of the surface of the Sun is 9,941 degrees Fahrenheit. By comparing these two temperatures, we can contemplate just how deadly an arc flash event can be. These temperatures can cause burns to the human body and even the clothing can catch fire. Flammable and combustible materials can be ignited and would worsen the situation. The harmful light intensity can damage the eyes and can even cause blindness. The excessive sounds also cause damage to hearing and listening abilities. The arc blast pressures can knock off personnel working nearby. The equipment present in the vicinity of the arc flash can burst and the shrapnel and debris are blown on higher speeds and pressures. Together, the arc flash and arc blast can damage human organs like lungs and other soft tissues. Now, we will review some of the major arc flash incidents of 2018 and analyze the cause of those incidents cited by OSHA (Occupational Safety and Health Administration) and other organizations. This arc flash incident occurred on March 15, 2018 at Nations Electric, Inc. where an Electrician was given a work to install Circuit Breakers on a live 480 volts distribution panel in a switchgear area. The panel cover was open and an employee with a screwdriver in hand made direct contact with the bus bars, when suddenly the screw driver slipped from his hands and fell inside the electrical panel, due to which an arc flashover occurred, and he suffered 2nd and 3rd degree burns to his arm and face. The employee was immediately transferred to the hospital for intensive care. You can further read the complete details of this arc flash incident on the given link. Click here ! This Arc flash incident occurred at the Tennessee Valley Authority Nuclear Power Plant owned by Day & Zimmerman Inc. The incident took place when two of their employees were busy pulling a live electrical cable from the bus duct of the distribution panel, during which the cable end made accidental contact with the live bus bar resulting in the employees suffering severe burns from the subsequent arc flash. OSHA cited the Chattanooga-based company for failing to fulfill the requirement of employees wearing the recommended PPEs, conducting pre-job briefings with employees on energy source controls; removal of a ground and test device; and allowing potential for residual electrical energy to accumulate. As a result of the Arc flash incident, the company faced $71,599 in proposed penalties. This arc flash incident occurred at the Integrity Windows plant located in North Dakota state of the United States. The arc flash occurred when an electrician was installing and testing circuit breakers at the plant on a three phase system (400 volts). After further investigation, it was found that he was wearing insulating gloves with leather protectors and using an arc flash face shield, but without any balaclava or arc flash suit. The unfortunate thing over here is that the incident could have been prevented and his life could have been saved had the electrician worn an arc flash suit and hood matching the incident energy rating of that system. Theabove incidents highlight the importance of NFPA 70E and OSHA training and emphasize their role in developing a safe workplace and qualified personnel. Under the Occupational Safety and Health Act (OSHA) of 1970, employers are responsible for providing safe and healthful workplaces for their employees. OSHA’s role is to help ensure these conditions for America’s working men and women by setting and enforcing standards, and providing training, education, and assistance. For more detailed information, you can visit their official website here ! Also, the National Fire Protection Agency (NFPA) standard for electrical workplace safety, NFPA 70E recommends to perform Arc Flash study every three years in an effort to keep employers, electricians, technicians, workers etc. 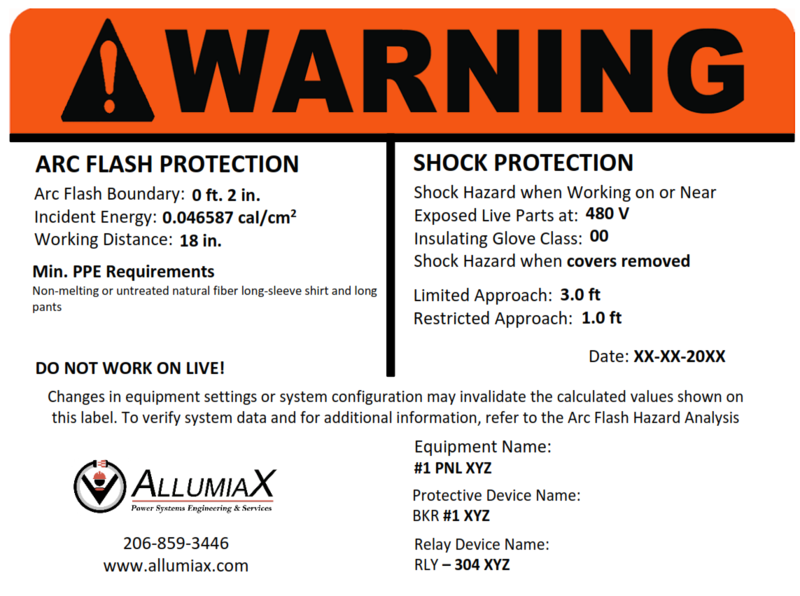 safely in compliance with OSHA 1910 Subpart S and OSHA 1926 Subpart K.
he standard aims to reduce on-the-job exposure to shock, arc flash and arc blast.